Jason and Gabe are back and this week they are celebrating the music of the saga and the secret sauce of that Star Wars magic, the one and only John Williams! 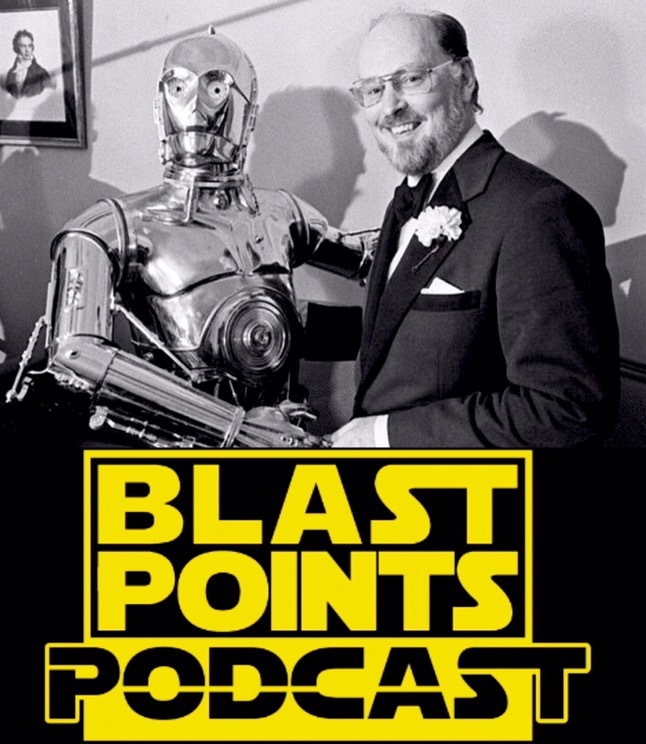 They go into some interesting John Williams history and dive into a heavy duty conversation on what their personal favorite JW tracks from the seven Star Wars films he’s done so far. What ones do they like? Dislike? What Star Wars music played at Gabe’s wedding? Find out in this music and fun filled episode!!! PLUS! Last Jedi news, Disco Snoke talk, Han music news and even Episode 9 stuff!! So put on your black turtleneck, crank the Imperial March & celebrate the love with BLAST POINTS!!! This entry was posted in Episodes and tagged episode 9, han solo, john williams, the last jedi by blastpointspodcast. Bookmark the permalink.